Facebook is now just days from crashing through the 50 million active users benchmark. After opening its doors to the public last year, Facebook has been the fastest growing social network on the web and is now half the size that MySpace was a year ago. The site, formerly only open to Harvard University students, launched in 2004 - MySpace opened its doors in 2003. Since opening up to the public in September last year, over 200,000 people a day are signing up. Since last September, the active number of Facebook users has doubled. And if the majority of those 200,000 new registrations per day translate into active users, Facebook could have over a hundred millions regular users before this time next year. 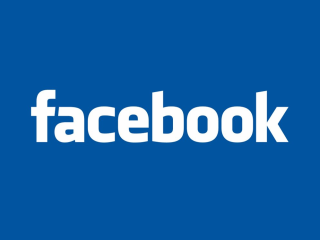 According to the latest stats, Facebook notches up more than 54 billion page views per month. People spend an average of 20 minutes on the site (daily) and over 5,000 applications have been built for the Facebook platform. The fastest growing demographic? Net wanderers aged 25 years old and older. In addition, Facebook has already become the number one photo sharing application on the web, according to comScore. A total of 14 million photos are uploaded daily, that's 1,400GB of data at a rate of 16MB per second. The UK is the third largest country represented on Facebook, with over five million Facebook users. This means that one in twelve Brits now have an active Facebook account.